The start time for the 2019 Folds of Honor QuikTrip 500 at Atlanta Motor Speedway is set. 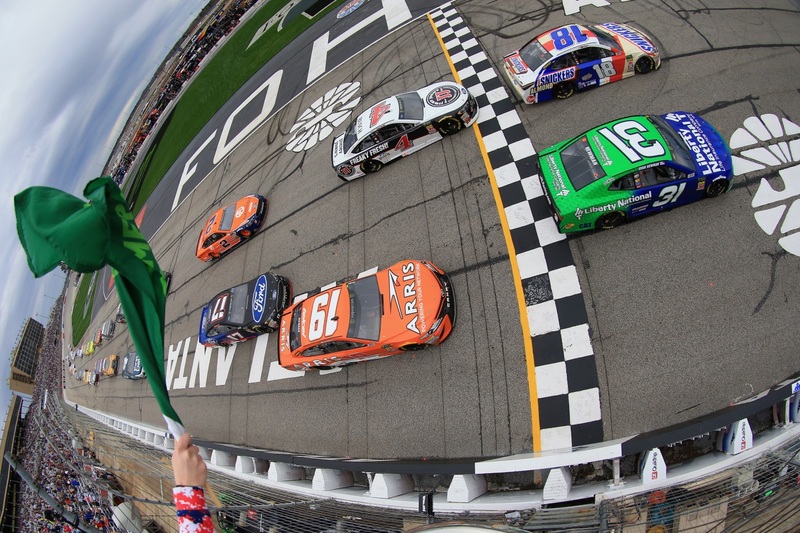 NASCAR announced Tuesday the race to the checkered flag on the famous 1.54-mile oval will begin at 2:00 p.m. on Sunday, February 24, 2019. The Monster Energy NASCAR Cup Series stop in Georgia will see the debut of a new racing package featuring aerodynamic tweaks and reduced horsepower to create closer and more intense racing action on tracks like Atlanta Motor Speedway. Great seats with sightlines of the whole Speedway are available for fans who want a ticket to the action. For those who can’t make it to the Speedway on race day, the Folds of Honor QuikTrip 500 will be televised on FOX. The Folds of Honor QuikTrip 500 weekend features three days packed full of NASCAR action. The Atlanta NASCAR Weekend begins with Monster Energy NASCAR Cup Series qualifying on Friday, Feb. 22 and continues with the NASCAR XFINITY Series Rinnai 250 and Gander Outdoors Truck Series 200-mile race doubleheader on Saturday, Feb. 23. All of this leads to the main event: the Folds of Honor QuikTrip 500 Monster Energy NASCAR Cup Series race on Sunday, Feb. 24.